July 28: 5 POWER Lessons From 5 Leaders Who Made History On This DAY! Learning more is the dream of many. But we may not always find the right source of lessons to glorify our lives. Here is the set of 5 highly influencing and inspirational lessons which shall guide you in the right direction and take you forward into light. Read on! Failure is a magical institute that teaches us all of what is required to win. Failing in life is important because that’s when the value of success and desire to succeed increase. Working on the do’s alone may not bring us success all the time, but when we also learn and concentrate on the ‘don’t’s’, chances to win are always more. We get introduced to the ‘don’t’s’ only when we attempt to make mistakes. In a way, making mistakes and losing makes way for perfection and gradually, we shall excel at all that we do. We can understand the meaning of victory and receive it in a better way when we have experienced what tastes like a failure. So always remember that when you fail prior to your victory, it is only to make your victory a grand one. Lucy Burns devoted her entire life to light the lives of the women. She strived, accepted rejections and survived just to achieve what she decided to. She may have failed a million times before she could successfully establish a rigid place for women rights in the society. But, every time she failed, she failed better and the same made her different from the rest in the society. 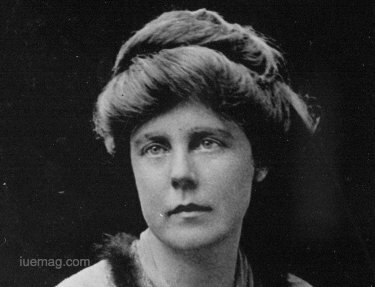 The American suffragist was a passionate activist who formed the National Woman's Party. Being the first woman to go to Yale University, she stood as an inspiration to the entire mankind. Each of us is unique and each of our thought processes differs. When none of our opinions, tastes and likes match, it is certainly not possible to rely on others’ decisions. Peacock chose to dance by consulting its own self and not by going according to what the world said. If the peacock ever convinced itself to follow what its surroundings said and if it had chosen to select anything other than dance, its identity, and then maybe the peacock wouldn’t have been remembered for its beautiful art. Respecting the words of your heart, going according to the directions given by yourself and depending entirely on you for building your life adds integrity and completeness to life. Sit back, relax, analyze, understand yourself and decide what is good for you. Way which you select and walk along is what shall essentially make you. The whole world remembers, respects and follows Earl Silas Tupper for the kind of life he lived. He chose to act and live every minute of his decision. He literally framed up his life and visualized what his achievements should look like. The belief that he had on his self, helped him to choose the best possible and light his life. The American-born businessman and inventor created a milestone by inventing Tupperware, an airtight plastic container for storing food. This milestone further bombarded him as a magical talent, which inspired millions in the world. 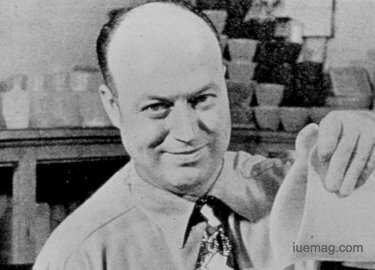 Using materials which were around him, he founded the Tupperware Plastics Company and won satisfaction. Beyond all the dedication and perseverance, the hunger to know more is something that helps you to the fullest to learn more and expand your horizon of knowledge and wisdom. Think what would happen if our minds were full? We would have known everything of the universe and we would feel that there is nothing that is left for us to learn. The same further inhibits our learning ability and retard our interest. Our curiosity to learn more and know more always invokes knowledge which every human life craves for. If we manage to learn, understand and achieve what we desire, then what else do we really need in life? Don’t you think this is what is called as contentment? The amount of lessons you take back is proportional to how much you are curious about life. 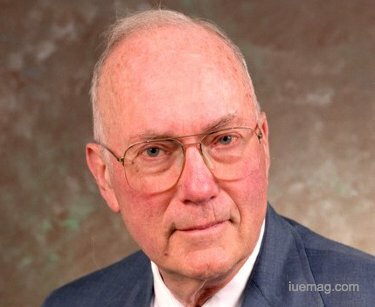 Charles Hard Townes, an American physicist went on to invent the maser and laser just because he was curious. He nurtured his interest and hunger to acquire more knowledge and learnings about all that he wished. Work which he did on the lasers won him the fundamental patent and another one for his work in quantum electronics. Not confining to patents alone, he won the Nobel Prize in Physics and remained as one of the best technologists till date. He proved his leading ability by directing the US government Science and Technology Advisory Committee which again marked a huge success. Imprinting your signatures of achievements in the minds of the people marks the true success of life. Let the world cherish what you cherish and that is when your success truly discovers its value. Sir APJ Abdul Kalam is remembered forever for the kind of life he lived. The entire world likes, loves and adores him for all that he contributed. Redefining respect, we follow, imitate and value his success formulae to glorify our lives. Beautiful music compositions are tuned to, listened, hummed and cherished irrespective of ages and era. Songs which are formed decades ago still rule our minds and embrace us completely. It is all because the message, the divinity and positivity which they impart get imprinted in us. Success is about leaving behind such services and signatures when we leave the world physically. Baruch Samuel Blumberg is eternal by his achievements. He is living after death by breathing in his contributions, victories and winning spirit. 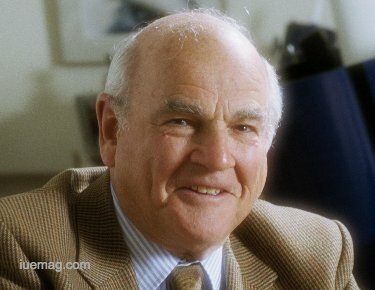 The American physician, geneticist won the Nobel Prize in Physiology or Medicine for his work on the hepatitis B virus. The President of the American Philosophical Society also received the Nobel Prize for discovering new mechanisms for the origin and dissemination of infectious diseases. Serving as a guiding element in the field of biotechnology, he led the development of a broad-spectrum anti-viral medicine. Do what your inner conscience says. Going according to the directions given by your heart always helps you find a better life. Beyond all lays the very important element called contentment, which you would essentially achieve only when you live your life to do what you love or to love what you do. When your profession is different from your passion, make sure you slowly start becoming passionate about your profession. However, proficiency is just another face of passion and perseverance and they are all interrelated. Walk towards your interests and watch your life blossom. Happiness is what is ultimately important; never compromise on it! 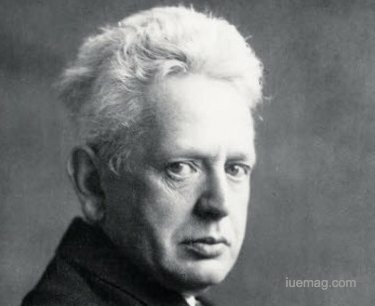 Ernst Cassirer was guided by his heart. Which other better guide could he ever get? Staying sensitive to his inner voice, he acted sensible and excelled at what we thought was impossible. The German philosopher was a trained philosopher who developed a theory of symbolism and used it to expand phenomenology of knowledge into a more general philosophy of culture. One of the leading advocates of philosophical idealism always respected his heart mentoring him and helping him take the every next step. He worked not only for experience but also to walk towards perfection. He spread all the knowledge that he had gained during his lifetime and became a reason for the world around him to get educated about various facts which enlightened him. Conclusion: Happiness is what has to be of utmost importance in our lives. It’s your life and never compromise on the quality of leading it. Let your life stand as a standard for the entire world to follow and measure their way of living. Passion, hard work, dedication and perseverance are some of the elements which add to quality. Keep going and never give up! Any facts, figures or references stated here are made by the author & don't reflect the endorsement of iU at all times unless otherwise drafted by official staff at iU. This article was first published here on 28th July 2017.